Samsung, being one of the most popular smartphone manufacturers, is also the number one target for China in the matter of cloned devices. 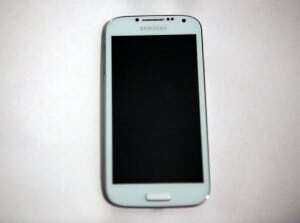 The latest models are the most wanted – the Galaxy S3 and especially the Galaxy S4. This cloning phones trend started a long time ago, but back then it was a different story, you could clearly differentiate a copy from the original, while now there are some clones that even have more features than the original! Clearly the makers of these clones are pretty zealous. We are not saying that China manufacturers aren’t as good as they can get, but as long as we talk about cloning other manfucaturers’ devices, we are not ok with it. So the obvious question is how to avoid getting fooled by these fake Samsung devices? It seems that a solid amount of users around the world have been fooled in this manner and they’ve posted about their experiences so that we can come up with a plan to never happen to anyone again. The first thing to verify is the appearance. Since a clone’s purpose is to look like the Galaxy S4, it will not strike you the first time you see it, so you have to analyse every external feature of the original phone to the alleged device that you are planning to buy. The real deal has a 5 inch display and, very important, the spaces between the display and the edge of the phone shouldn’t be noticeable. Another matter is related to the buttons of the phone, thus the fake phones have the home button a bit lower than the real phone, so if you closely analyse the difference, it should come out. There are also a few things to consider in terms of software. First, you should verify the version of Android in the Settings, it should be Android 4.2.2 and it should also have TouchWiz, Samsung’s very own skin. 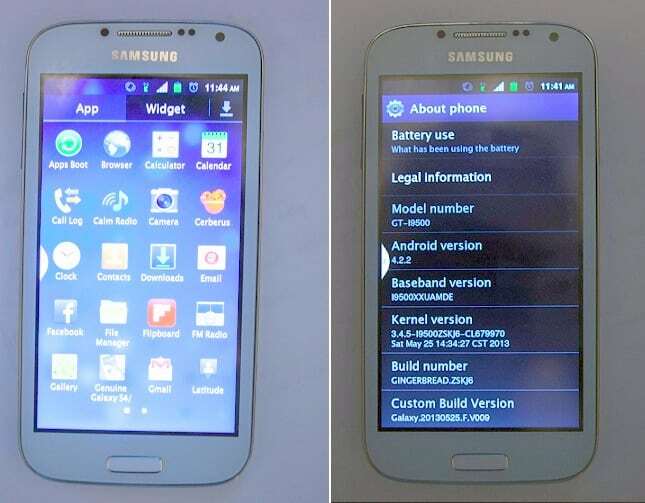 It seems that the fake version of the Galaxy S4 runs a 2.3 version of Android, even though it shows to have a 4.2.2, but the fact is that it can be easily observed from the menu and the overall appearance of the software that it is definitely not Jelly Bean. All in all, cloned phones manufacturers, whoever they are, are getting better and better at what they do, so it is vital to be very careful when you purchase a smartphone, especially when it’s not from a legitimate retailer.